Investors in the Romanian real estate sector are upping their game and looking to integrate communities more deeply in the development of their projects. From urban rejuvenation to investments in road infrastructure, developers have produced a raft of initiatives that help their core business but also improve life in the city. This entails additional costs on the developer’s side. Stamatin suggested that, sometimes, additional investments are needed to make the overall piece of real estate more viable. “There are cases when the building permits obtained for developments are conditioned by additional investments in the infrastructure that surrounds the project, in order to more easily connect the project to the community and to avoid traffic congestion,” said the associate director. Among the developers that have made large investments in infrastructure is Iulius Company, controlled by Iulian Dascalu. The developer has invested in urban infrastructure in Iasi, Cluj and Timisoara. For instance, it put EUR 12.6 million into the first multistorey car park in Timisoara, built on the grounds of Openville, the EUR 220 million mixed-use project under development. Company officials told BR that additional investments in urban infrastructure are planned there, including the widening of two streets near the complex and a car tunnel that will cross the project from east to west. The underground structure will be donated to the municipality once completed. At Openville Timisoara, the developer is also looking to build the county’s first suspended park, which will cover over 55,000 sqm. The park will include a lake, a square for events and fountains. It will be located on top of an underground parking lot. In Cluj, Iulius Company invested over EUR 2 million in the redesign of a green area close to its mall. In the mixed-use Palas Iasi project, the company put over EUR 73 million into the construction of the largest underground parking lot in the country, with 2,500 spaces. A park of 50,000 sqm was built following an investment of EUR 2.5 million. 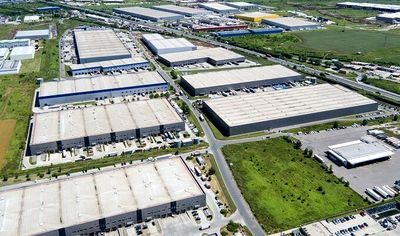 Elsewhere, Ovidiu Sandor has planned several investments of public utility at the mixed-use project ISHO Timisoara, which has office and residential components. It will feature a nine-storey car park and a pedestrian area close to the project. Sandor’s company Mulberry Development will also build a four-lane boulevard that will cross the ISHO neighborhood on the north-south axis. The developer has said that this investment will bring back to life the city’s historic Traian Market. The boulevard will be donated to the municipality once completed. The bike lanes and vaporetto station will be available for all citizens to use. Mulberry Development told BR that it also handled a large part of the design of the city’s second ring road, alongside the bridges that will also be donated to the city. ISHO Office is designed to consist of 50,000 sqm that will be delivered in three stages by 2020. It will feature 1,200 apartments. Talking about a sense of community, the developer said that ISHO will have a center that will host cultural events alongside one for conferences. Moving to Brasov, real estate developer Immochan says that it is working on the concept of community animator for the Quartier Coresi. The company has projected the development of 100 hectares, around 8 percent of Brasov’s useful area, for the next decade. The first stage of Coresi Shopping Resort, which has commercial, residential and business amenities, covers 24 hectares and is based on a EUR 70 million investment. “Equipped with a physical stage with lights and sound system, Coresi offers all the city’s organizations (associations, clubs, schools …) an event venue in the colors of the city. This concept – the center as a stage for the community – was first formalized at Coresi Shopping Resort. In addition to the city’s actions, Coresi supports the ‘365 events’ animation program with an action plan that combines entertainment with education – under the concept of edutainment,” Immochan representatives told BR. The company is currently developing the residential project Coresi Avangarten, along with Kasper Development, on the site of the former Tractorul plant. The investment in the first 1,000 apartments, which includes all infrastructure and public works for the urban regeneration of about 28 hectares, amounts to EUR 50 million. “Furthermore, 2.5 km of road construction was done and 10 hectares of land donated to the City Hall for the execution of the road infrastructure needed for the new project. The cost of systematization work amounted to EUR 10 million,” said the developer. The company has also integrated Coresi Business Park in its district, following an investment of EUR 50 million. In the next decade, the park will cover around 100,000 sqm. Up to now, the company says it has regenerated 70 hectares after investments of EUR 340 million, and if the development pace is maintained it will reach EUR 700 million. In Satu Mare, where Immochan has bought 7 hectares of land, the developer wants to build a strip mall and residential project. 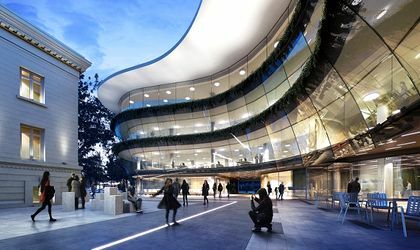 It will also feature a community hub that aims to support the city’s cultural and social life. “From our experience and perspective, local authorities are becoming more and more aware that cities need private investors for sustainable and swift development. They are open to partnerships that contribute to building cities and communities on the long term and having a positive impact on all the stakeholders involved,” said Immochan officials. In Bucharest, developers’ contribution to the overall community has been more visible in the field of heritage buildings. For instance, Oromolu House, built in 1927 by Mihai Oromulu, governor of the National Bank, was restored as part of the development of the Aviatorilor 8 office building in central Bucharest. The office block was developed by New Europe Property Investments (NEPI) following an investment of EUR 37 million. Moving to the center-west of the city, Hanner is looking to build a mixed-used project with a strong focus on Romanian entrepreneurship. The project will be developed on the grounds of the former Luther brewery. Three buildings from the former project are historic monuments and will be integrated in the new scheme, which includes investments in residential and co-working components. Elsewhere, S IMMO AG is working on The Mark office building in the Buzesti-Grivitei area, which has long suffered from a negative perception and had been avoided by major investors. With the new Uranus Boulevard opened, the developer has kicked off the construction of the office building, which will have a gross leasable area of around 22,500 sqm. The company will invest over EUR 45 million in the project. Its developer has been one of the supporters of finding sustainable solutions for revitalizing the Buzesti area.